The foods that we eat provide the energy or fuel that our body needs. Athlete’s bodies have different needs and requirements in order to optimize their athletic performance. Many people have misconceptions about different food groups, as some try to avoid carbohydrates, while others avoid fats. 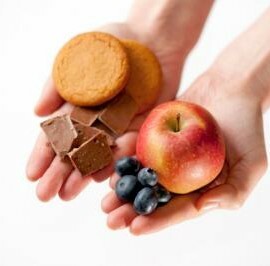 This type of dieting is called “fad diets” and are never a good idea, especially for an athlete. 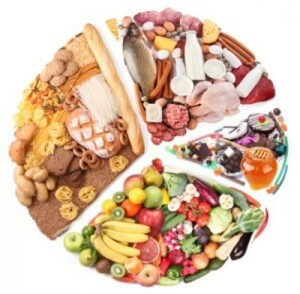 An athlete, needs all six food groups, specifically: Grains, vegetables, fruits, oils, milk, meat and beans. Carbohydrates, such as sugar and starch, are readily broken down into glucose, the principal energy source of the body. Glucose can be used immediately or it can be stored in the liver and muscles as glycogen. Blood glucose serves as the most significant source of energy for the brain at rest and during exercise. The capacity of your body to store muscle and liver glycogen is limited to about 90 to 120 minutes of continuous, vigorous activity. If you ever hit the wall while exercising, now you know why. That is why it is equally important to include protein and fat. Fat is the body’s most concentrated source of energy, providing more than twice as much potential energy as carbohydrates or protein (nine calories per gram, versus four calories per gram). During exercise, stored fat in the body (in the form of triglycerides in adipose or fat tissue) is broken down into fatty acids. These fatty acids are transformed through the blood to muscle for fuel. Protein is not being maintained in the body for use of energy. Protein is needed to build and repair body tissues, as well as synthesize important enzymes and hormones. Protein, however; provides energy in late stages of prolonged exercise. Elite tennis players require different types and amounts of fuel than most recreational players, a registered dietitian can help you accurately estimate your daily caloric needs and help you with a meal plan that will enhance your athletic achievements.